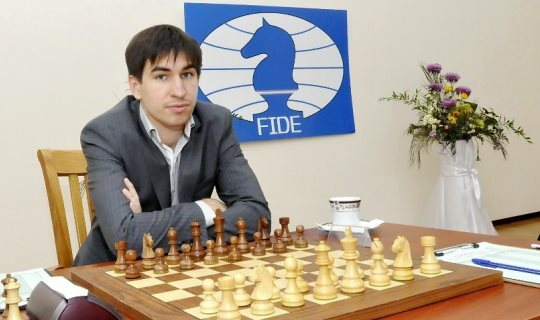 Russian Grandmaster Dmitry Andreikin is the winner of the second stage of FIDE Grand Prix in Tashkent with 7,0/11 points. His nearest followers Shakhriyar Mamedyarov and Hikaru Nakamura finished half a point behind. The two fearless fighters did not disappoint the audience as the game started with an ultra sharp Benoni opening. Black went straight down the line where historically white scored overwhelmingly. White had an extra piece but his forces were lacking coordination. With short castle prevented, Jobava boldly castled long. Black continued to attack but he always had to be careful of massive exchanges when he would be simply left material down. It appeared as though white will come out on the top until the careless 22.a3 allowed black to seize a strong initiative. Black was a rook and piece down but white was in danger of losing. Finally, as Jobava started to threaten on the back rank, Mamedyarov had to concede a draw shortly before the time control. Excellent effort from both players! This was a Queen’s Gambit Declined turned Moscow Semi-Slav, which Giri already had in the games against Anand and Bacrot. Black easily achieved equality and was on time to push the liberating c6-c5. White rook reached the 7th rank but there was no way to increase the pressure and the players repeated the moves. Black played Shirov’s favourite Ruy Lopez Arkhangelsk Defence. Nakamura is no stranger to this line as he already used it to defeat Judit Polgar in 2012. White followed one older game of Kasparov until 15.Nc3. He emerged with certain advantage thanks to his bishops pair and well-coordinated pieces. But suddenly he decided not to pursue the victory and agreed to draw after the required minimum of 30 moves. 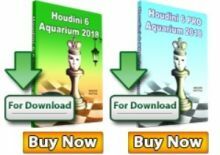 It was not easy for Karjakin to decide which opening to employ in the game against his trainer Kasimdzhanov. Finally he settled for the English. By delaying the development of the king’s knight white allowed his opponent to set a more flexible pawn structure. In the complicated middlegame struggle both players were spending lots of time. Nearing the time trouble black committed a couple of inaccuracies and was forced into defensive mode. White seized the opportunity and simply walked over black’s position. 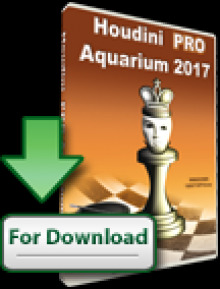 Radjabov repeated the opening that he used against Karjakin at the recently concluded Baku Grand Prix. It is the topical line of the English Opening where white has better pawn structure but black pieces are sufficiently active. However, Radjabov improved on his earlier game with 18.a4. Previously 18.Rc2 allowed Karjakin to promptly force massive exchanges. 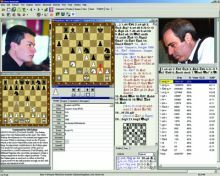 Gelfand responded by forcing the trade of all queenside pawns. Still white earned a small advantage thanks to the strong pair of bishops. He used this potential to reach a curious rook endgame with four pawns against two pairs of doubled pawns. But on the narrow front with all pieces concentrated on the kingside, there was no way through, and white agreed to draw after the time control. A completely original setup by black, where he gives up the light-squared bishop in the structure resembling the King’s Indian. White didn’t achieve much in the opening and black was happy to trade more pieces to reduce the pressure from limited space. On 27th move Jakovenko helped his opponent by blundering a small trick that cost him a pawn. Caruana proceeded to efficiently convert the advantage into full point.